We are constantly looking for marketing partners who are interested in reaching the diverse group of people that attend drag racing events. We can tailor a program to suit many needs. 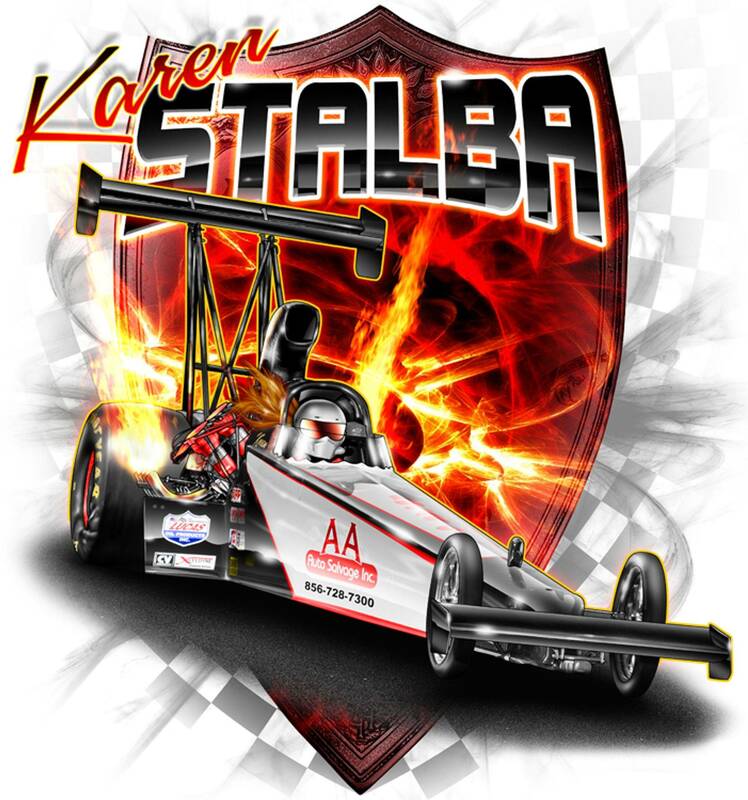 Through the use of the internet with our website, your name or logo on the car and t-shirts, and even with personal appearances, Stalba Motorsports would help you promote your business. Current plans are to attend a minimum of ten races this year, three of which will be nationally televised on a major sports network. What better way to grow your business than to advertise with us. Karen has a very diverse background and many interests in and out of racing, and has been a role model to many with her educational and career background. Contact us today for information on how we can partner with you.